I have worked with Techno Torch several times now and I want to tell you about another quality torch lighter they offer. Their Single Slant Jet Flame (Leaf Pattern) is a convenient sized torch lighter. It fits comfortably in my hand. It uses butane and is easily refillable via the port on the bottom of the lighter. The flame is adjustable and wind resistant. That's a big plus, I hate when I'm trying to light something , like a candle or campfire, and the wind blows the lighter out. 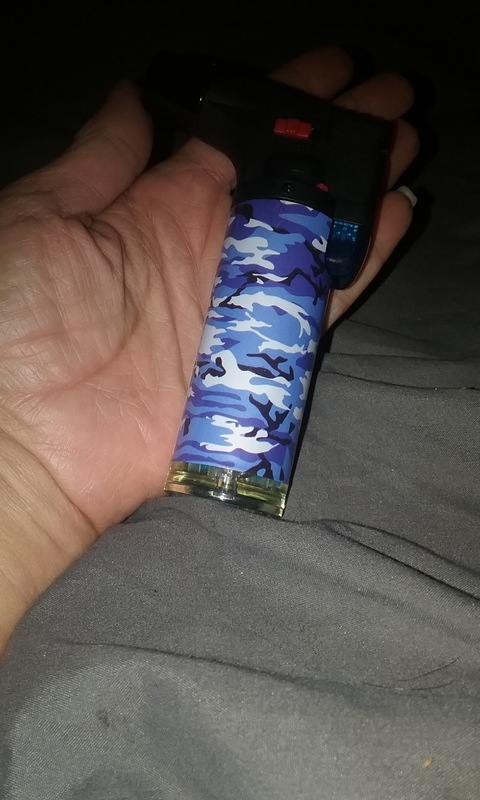 There is also a lock on this torch lighter, making it safer just in case little hands get a hold of it, or just to keep it from being accidently ignited. This torch lighter has a random leaf pattern and a non-slip grip. I really like the safety features this lighter has, I'm all about safety. This lighter is perfect for many uses from lighting cigarettes/cigars, lighting candles, campfires, lanterns. 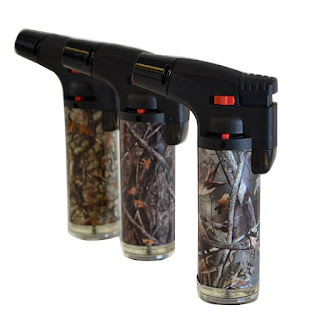 It can be used in the kitchen or many places outdoors, hunting, fishing, camping, etc. I really like finding products that have more than one use. Products like that , in my opinion. save both storage space and money. When you're able to use something for many things it's not just sitting on a shelf or in a drawer waiting for the one thing it's good for. Plus you're not buying several products when you can use one product for many applications, this torch lighter falls into the multi-use category. I like that. Due to air mail regulations this lighter is delivered empty, so you will need to fill it with butane before the first use.